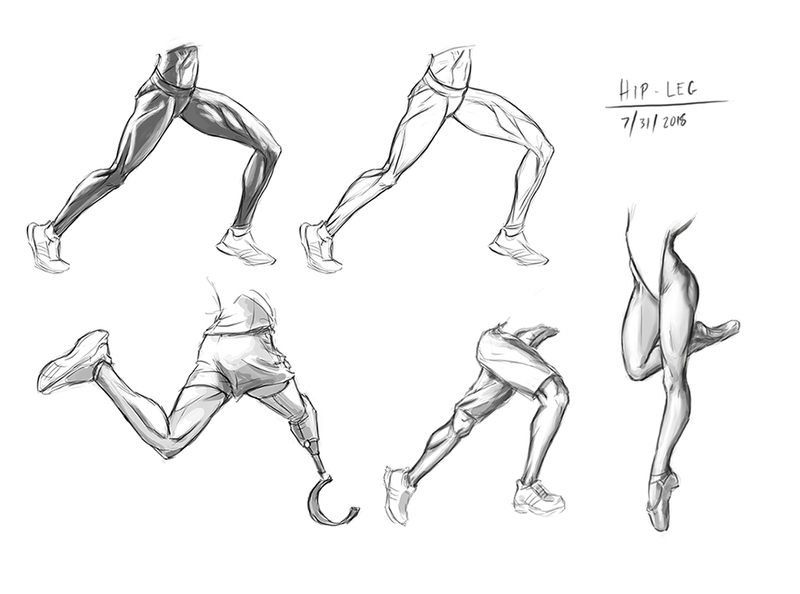 The new study challenge for the next two weeks is to draw anatomy of the hips and legs. Specifically focusing on where and how the legs connects into the hips in various positions. This is an area of anatomy I often see mistakes with, and it's great practice to make sure you understand how the muscles and bones move and connect so you're able to convincingly draw the legs in various positions. Try to find a variety of angles and leg positions to help yourself understand the overall structure rather than just memorizing specific views. -Due before Sam's stream on Monday, August 6th.